TEPCO released a report in July on various waste streams at Fukushima Daiichi. This rather dry sounding report contains some important data points for understanding the disaster and ensuing meltdowns. Five pieces of concrete were analyzed to determine the amount of radioactivity and how that distributed among the concrete building debris. The first three samples were pieces of reactor concrete found on the west side of the reactor buildings. Another sample was taken from concrete on the unit 3 refueling floor. A fifth sample was taken from a “DG tank” this may be the rectangular debris storage containers used to house the debris cleaned up soon after the initial disaster. Each piece of concrete is scanned using an “IP scan”. The piece of concrete was then ground down and scanned multiple times to determine how deep into the concrete the contamination penetrated. The sample above from near unit 1 shows contamination on the raw unpainted surface. This appears to have penetrated the initial layer of concrete. As layers were removed the contamination on the face goes away. Contamination on the sides of the piece of concrete remain. The above concrete debris sample from near unit 3 shows a notable pattern. This sample was tested with the outer painted side up. The blue paint appears to be the outer blue paint of the reactor building walls. This is not contaminated on the upper surface but does show significant contamination on the raw sides of the sample. The sample above collected near unit 4 was tested with the blue painted surface facing up. It showed little contamination on the outer face and minimal contamination on the sides. As the layers were ground off the face the contamination eventually drops to undetectable. The sample above from the unit 3 refueling floor was tested with the painted surface facing up. This sample shows significant contamination on the painted face. This sample was collected in 2016 unlike the previous samples that were collected in 2012. As this sample was ground down the contamination abruptly drops off with contamination remaining on one side of the sample. The sample above taken from the DG tanks in 2015 had no paint on the surface and shows little contamination. The small amount of contamination appears to be from the muddy layer on the sample. The samples with the highest contamination appear to be the unit 1 sample, the unit 3 sample sides and the unit 3 refueling floor sample. 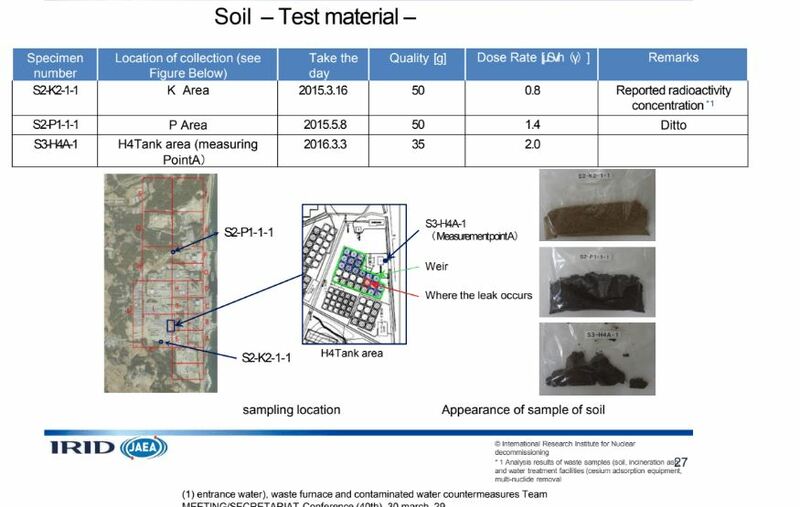 The unit 4 sample and DG tank sample showed lower levels of contamination. 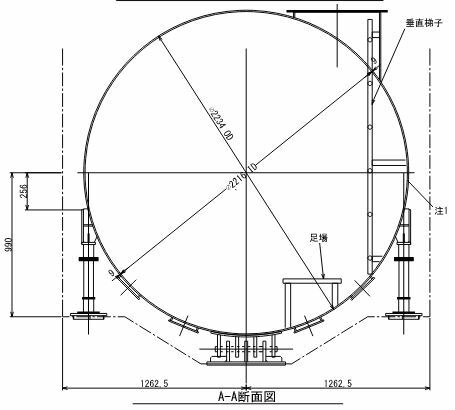 The unit 3 refueling floor sample may be significantly contaminated either due to the proximity to the reactor well explosive event or due to being on the refueling floor unit 2016. Unit 3’s refueling floor was restricted for years due to high radiation levels. The reactor well is also known to leak. Either or both possibilities could have contributed to the high level of contamination on this sample. Three samples of decontamination sludge were tested. 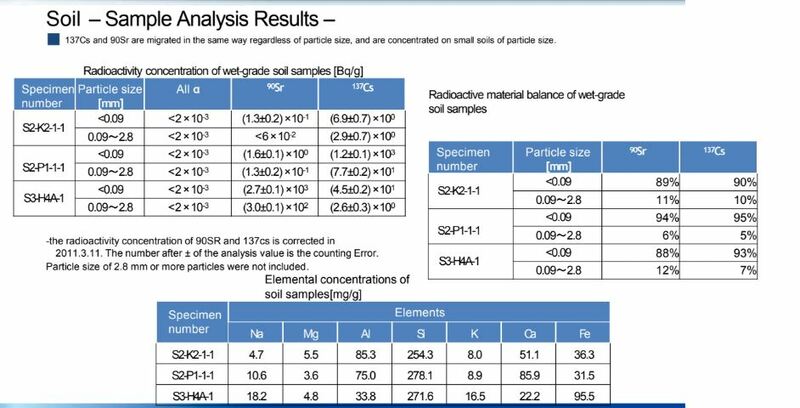 TEPCO doesn’t clarify what system these sludge samples came from. The samples do show detectable levels of certain radioactive isotopes from the meltdowns. The substances found in the treatment sludge indicate that they were initially in the contaminated water processed for treatment. The samples were collected in 2017. Detectable amounts of Manganese 54, Cobalt 60, Antimony 125, Cesium 134, Cesium 137, and Strontium 90 were found. These are somewhat expected. The breadth of isotope testing is fairly limited. Of the alpha radiation isotopes tested they found levels high enough to confirm detection of plutonium 238. Water was collected from various buildings including the reactor building basements. Water from the Kurion and Sarry cesium removal systems was also tested. The tests for uranium in the contaminated water samples indicates that uranium concentrations were highest in the unit 3 turbine building. TEPCO provided no explanation for this finding. Unit 3 was known to have significantly contaminated water in the turbine building after a crew of electricians suffered beta radiation burns when they attempted to wade through a flooded part of the building in 2011. The multi-nuclide water treatment system known as ALPS has been somewhat secretive. Limited information about the system has been published over the years but the actual treatment processes have not been explained. The list below shows the filter media used and hints at the type of processes used along the system. TEPCO claims the isotopes tested for are eventually not detectable in the samples. It is assumed the water itself is sampled rather than the treatment media or sludge. Soil samples were taken near the H4 tank farm and near what appears to be the P and K drainage canals. These are all located above the reactor block areas, up on the hill. The testing was somewhat limited. Only Strontium 90, Cesium 137 and generic alpha radiation were tested in the soil samples. In both building debris and standing water, unit 3 appeared to have the higher levels of contamination. Unit 1’s reactor building basement would have been the expected location of high contamination in standing water. 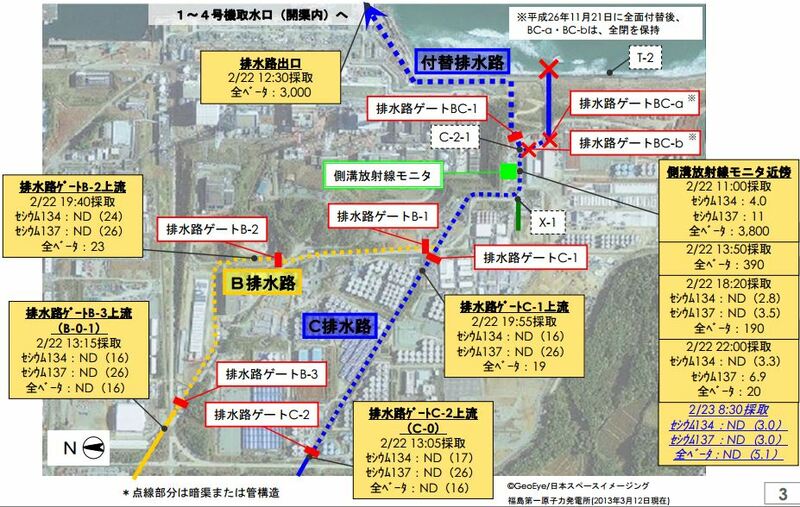 TEPCO doesn’t specify where in the reactor building they sampled for unit 1. This could influence the readings. Unit 3 has been a frequent culprit for radiation releases at the site. Days after the initial disaster as unit 3 had water reduced it began to purge black smoke out of the reactor well. This has been confirmed to have ejected more contamination to the environment. 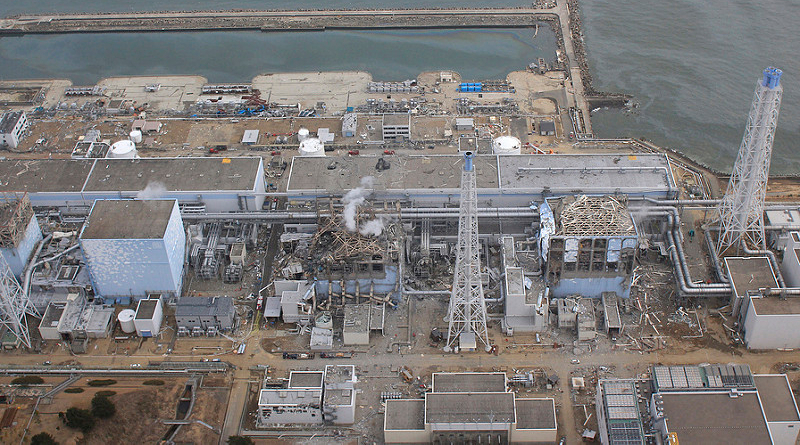 The explosion debris surrounding unit 3 was of particular concern right after the meltdowns. Efforts were made to quickly remove this debris due to the high radiation levels. Since many of these samples were collected years after the meltdowns there are numerous instances where changes over time may influence the contamination in the samples. These new tests seem to further confirm the radiation releases from unit 3.